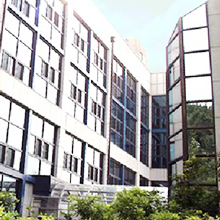 As a part of its formation strategy“EU in the World”, the European Info (“EU i”) is a European information center which has been established in the university, institutions within the university, research institutions, and professional schools for the improvement of EU teaching, research, and awareness. In August of 1992, the IS Library had been designated as Korea’s “EU i” by the EU Commission. The IS Library has received and kept books, periodicals, CD-ROM (various statistical and official journals), Microfiche (EP Report: approx. 2,500) materials, etc. for which the EU publishing office has directly sent regarding EU policies and related various fields of topics. On the IS Library homepage, by connecting to the “EU i” guide along with EUSA-Korea you will be provided prompt and precise information on the condition of activities of the EU through utilizing the library search system for the collection of EU materials and other items. participate in the debate on the European Union, where appropriate with other stakeholders. The Statistical Office of the European Communities (Eurostat) is the statistical arm of the European Commission, producing data for the European Union and promoting harmonisation of statistical methods across the member states of the European Union. You can read about the latest political decisions, or the latest advances in research; there is even a set of online leaflets about European Research in Action, written for the non-specialist and available in 11 or more languages. Drugnet Europe, the EMCDDA's newsletter, provides regular, rapid and succinct information on the Centre's activities to a broad readership. There are four issues of Drugnet published per year. It is available in PDF (see below), print, and online formats. Periodical covering education and culture in EuropeIn-depth articles and reports on EU policies in the fields of education &training, youth, culture, languages, sport and European active citizenship. The site offers an up-to-date coverage of EU enterprise policies, specific pages covering 25 industry sectors as well as news, speeches, electronic publications and essential information on events, EU business statistics and benchmarking. European Commission - Inforegio provides general and specific information on activities of the european regional development fund, the cohesion fund and the structural instrument for pre-accession. research*eu is a European Union research magazine, written by independent professional journalists, which aims to broaden the democratic debate between science and society. It presents and analyses projects, results and initiatives through which men and women are making a contribution towards reinforcing and federating scientific and technological excellence in Europe. * The information about this site is derived from the DELEGATION OF THE EUROPEAN COMMISSION TO THE US. Please contact http://www.eurunion.org for further informations.